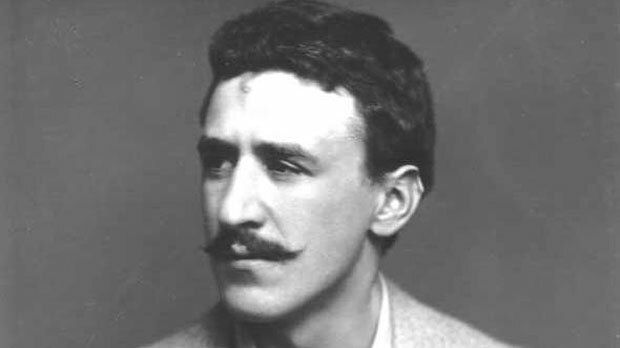 Glasgow School of Art fame architect and designer, Charles Rennie Mackintosh was born in Glasgow on June 7, 1868. Son of a policeman, Mackintosh went to Reid’s Public School and the Allan Glen’s Institution. He developed an interest for architecture from an early age, that is why he started his career quite early at the age of 16 and joined a local architect and started working with him. Meanwhile he did not let this routine disturb his studies and kept on taking evening classes at the Glasgow School of Art from 1883 until 1894. Right after completing his studies and training in Glasgow, he moved on to the office of Honeyman & Keppie in 1889 and started serving as a draftsman. His dedication and hard work earned him the partnership in the same practice in 1901. In spite of a successful practice in Glasgow, Mackintosh moved to Suffolk in 1913 and set up his private firm there. Charles Rennie Mackintosh was very fond of this new Japanese style prevailing in Glasgow, Japonism. He appreciated it for its simple forms, natural materials, economy restraints, textures and use of light and shadows. This style was the negation of unnecessary ornamentation, excessive patterns, deceptive elaboration and gaudy build up. Right during this time, a new movement with “modernist ideas” throbbed in and Mackintosh became an active participant of this movement. He always focused on functionality of design and ease of users. Mackintosh merged art nouveau with simplicity of Japanese art and started building around with great sensitivity towards the needs of people. While working for different styles and promoting various techniques derived from different regions, Mackintosh gradually succeeded in developing his own style. In reference to some traditional Scottish architecture, he blended in floral influenced design patterns supporting intricate curves with strong right angled plains. In the later phase of his career, Mackintosh drifted more towards organic designs. He distinguished his animated conceptions with sharp geometric compositions. Mackintosh’s work from this time showcased integration of opposite elements in architecture such as light and dark, black and white, masculine and feminine, modern and traditional. Mackintosh used to give so much attention to detailing of design, decoration, furnishing and all the building specifications and most of this detailing was done and taken care of by his wife. Despite all the appreciation that he gained due to his innovative styles and revolutionary campaigns to bring about betterment in designs, there came a time when Mackintosh’s work lost all admiration. His professional life is regarded rather smaller than many other successful and significant architects. In spite of all this the distinctive magnitude and solid impact of Mackintosh’s contributions can never be ignored. All of his major projects lie between the time period from 1896 to 1906. Critics mention his downfall as a tragedy as he got rejected by his own hometown and architectural establishment. In 1920 Mackintosh left architecture altogether and devoted rest of his days to painting. On 10 December 1928 at the age of 60, he died of cancer in a nursing home in London.